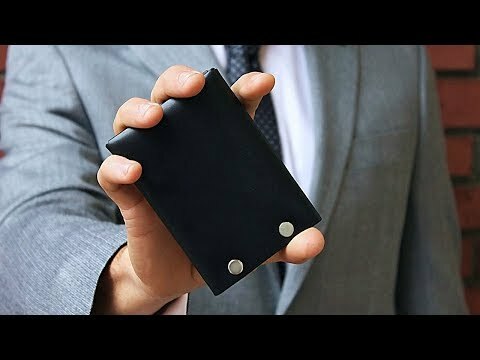 These American-made front pocket wallets are handcrafted from premium vegetable-tanned leather and secured with metal fasteners. 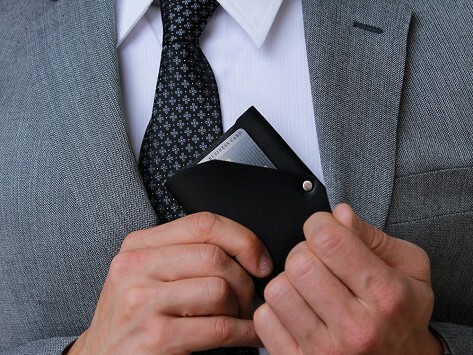 Made without thread stitching and built to last, these versatile wallets can hold all the cards and cash you need to carry while fitting in the front pocket of a suit jacket. Dimensions: 3" x 4.25" x 0.37"